First off, a big thank you to everyone who has commented, tweeted, liked, shared, blogged or emailed about The Client Blog! I cannot thank you all enough for the support and kind words – it’s been extremely gratifying to see the great response and enthusiasm for the content I’ve been sharing. The best part of all of this is that it’s a purely personal creative project that I thought would be an interesting addition to the industry, and it seems like many of you agree. So thank you for reading. A big thank you also to fstoppers.com for their very nice article about the blog. HERE is a link to that post that was recently published. This post is all about The Concept. I’ve always been a believer in creating The Concept first when coming up with ideas, and have long urged creatives on my team to pitch concepts, not executions. A concept is an idea, and an execution is the tactic to make that idea come to life. Once that concept is approved, THEN you figure out how you want to execute it. And that’s when the real challenges come in. This project demonstrates how important it is to not lose the forest for the trees, and in this job, we had a lot of trees. It’s also a great example of the type of project that is very common for my internal creative team to tackle – not a big budget, a fairly quick turnaround, an on-air only promotable (no print, no digital, no outdoor media). We did end up commissioning a shoot, but alas I was not able to attend it. The concept was written/conceived by Writer/Producer James Introcaso and Creative Director Tyler Korba. And as always, the collaboration between the three of us and our external partners was critical for success. Photo by Evolve IMG. No drugs were used during the filming of this promo. Other than coffee. “Drugs, INC.” was a returning series on the National Geographic Channel. 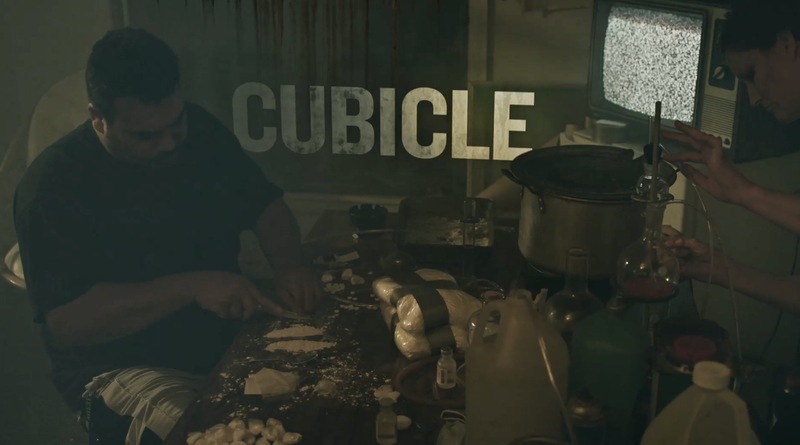 Each episode tells the story about different drugs in different cities, covering every aspect of the drug trade. It features inside access to growers, buyers, dealers, users and law enforcement – every link in the chain. The show treats the drug trade as a billion-dollar business, and looks at not only the effect and impact of drug use, but also at the money and power generated by their distribution. In the previous 3 or 4 seasons on-air, the show did well in the ratings, and was promoted and marketed in a fairly straightforward fashion. Show the drugs, interview the players and users, and use the gritty show footage to promote it. Since this was not a big off-channel priority with a media spend against it, it would have been very easy to just knock out a straight-up clip spot – soundbites from the show, a hot edit, and a gritty graphics treatment. After all, we’d done that to great success before. But we wanted to do something totally different this season. We wanted to announce to our audience that there were new episodes coming by creating a campaign with a different approach and visual aesthetic. 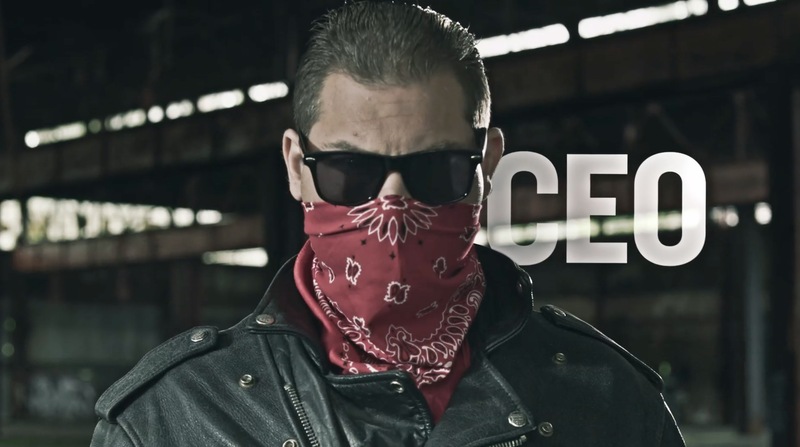 We had run repeats of Drugs, INC. for the 2 months prior to the new episodes premiere, and were running the old promo for those repeats. Having a new campaign would really help differentiate the new episodes (Plus, it’s just a lot more fun for us, too) and signal “NEW!” to our viewers. 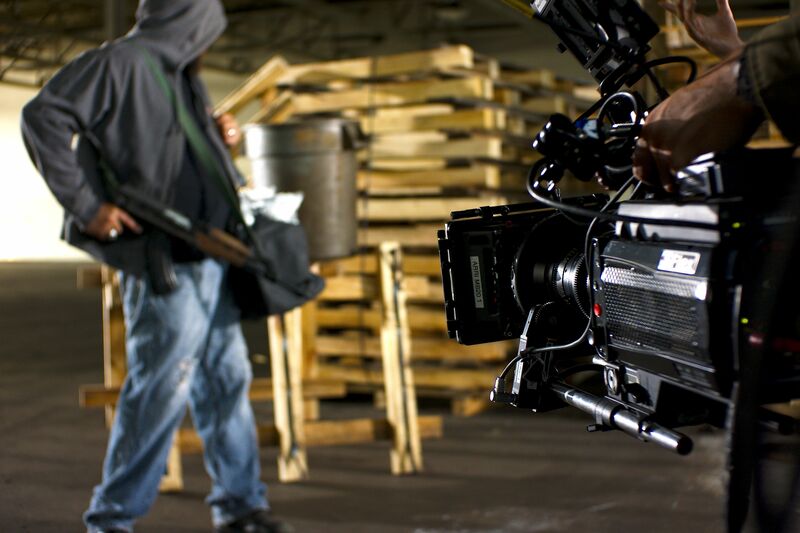 Drugs, INC. is, in reality, a thoughtful and in-depth look at the issues surrounding the big business of drugs. So we set our sights a little higher to try something different strategically and creatively. Mrs. Smokey. Photo by Evolve IMG. Don’t appeal to the lowest-common-denominator factor of the show. Don’t show lots of people using drugs. Don’t overdo or glamorize violence or guns. Come up with something fresh and smart. Oh, and the premiere night is the same night as this other little show about the drug trade called “Breaking Bad.” #NoBiggie. The goal of this blog post is not to discuss the shoot as much as to discuss the concept that was conceived and delivered, and to talk about how important it is to stay completely focused on that concept from beginning through edit and delivery. More on that in the takeaways. But first – the concept itself. 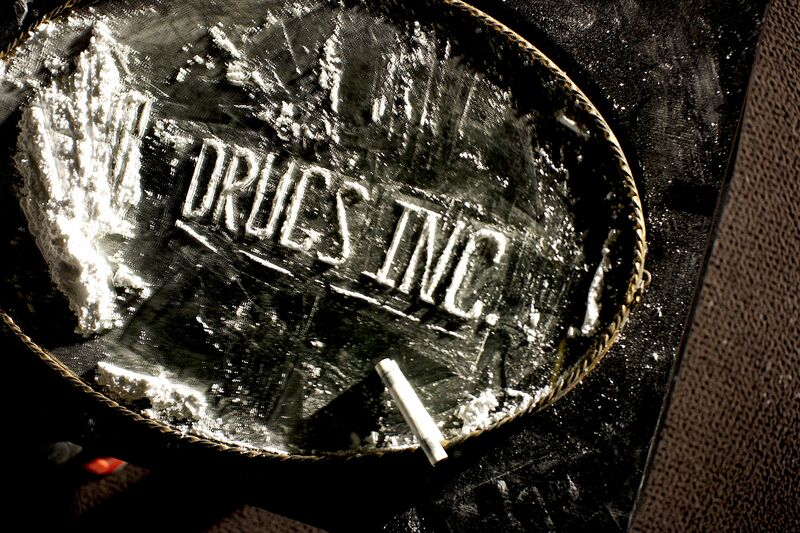 Drugs, INC. takes the unique approach of showing the drug trade as a BUSINESS. There are buyers, sellers, investors, losses, and gains. Competitors, products, consumers, marketers and makers, just like in a business (It is ‘Drugs, Incorporated‘ after all). So the concept was simple – apply the terminology usually associated with businesses and workplaces and show how the drug trade really isn’t that different from any other industry. Create double entendres for those terms that can mean one thing for the mainstream world, and another for the drug trade. Immediately, it becomes more relevant to people, and is an extremely simple and clear way to talk about the show – without just talking about the show. We knew that in contrast to the simple, hand-held documentary-style look of the show, we wanted something a little more slick and hyper-real for the campaign spots. To make the point that the concept was trying to demonstrate, we needed to exaggerate reality a bit, and get some scenes that represent the terms in a way that very quickly and easily identified the parallel worlds. It was all going to be custom shot, and with a :30 promo using multiple terms, we knew we needed a lot of footage shot, and it all needed to look really choreographed and stylized to make our point. So we turned to our good friends and collaborators at Evolve IMG to shoot, edit, design, and deliver the promos for this campaign. Since it was just for TV promos to air on NGC, there was no print or still photography needed. We’ve collaborated with Evolve on numerous campaigns, and they always bring incredible cinematography, passion and drive to every single job. We had a pretty quick turnaround, and we chose them because they are able to shoot and post their work quickly and effectively, and they work extremely collaboratively with our team. When it came to shooting and post, we were still the ‘client’ – but that heavy lifting on the front end was done totally internally. Having that full ownership and development of the concept and idea falling on us made it even less of a traditional client/agency situation. 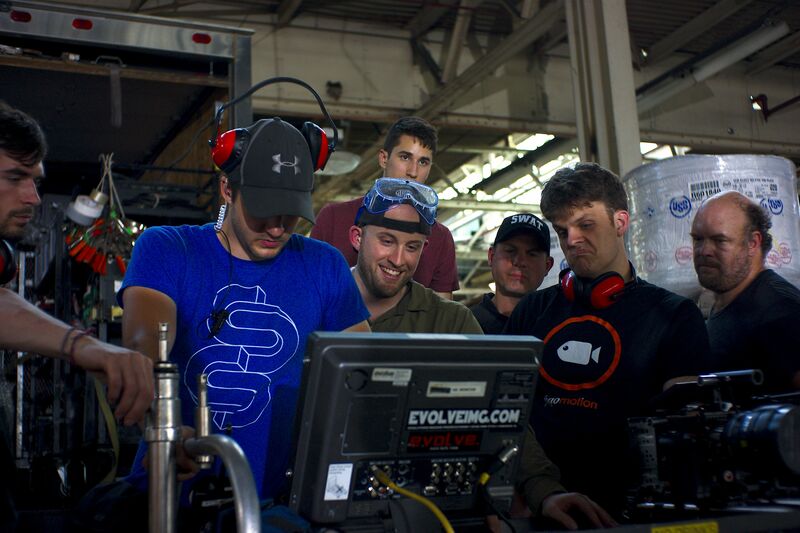 We were the agency, and Evolve was our partner in the project to bring it to the screen. An actor getting thrown out of a van. 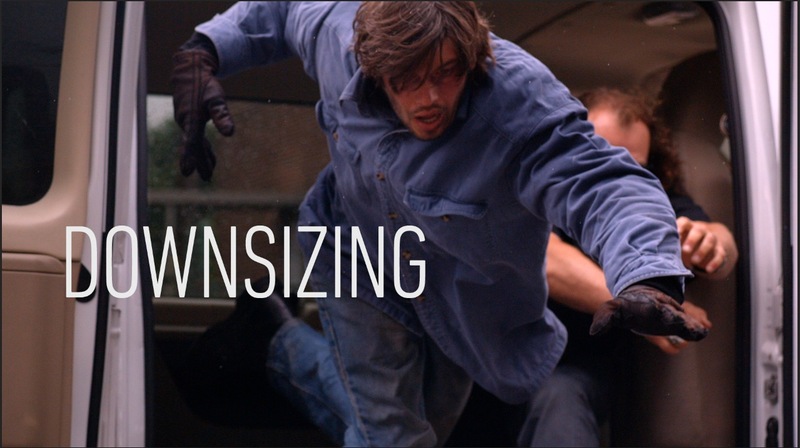 Because the term “downsizing” wasn’t drug-related enough, we ended up eliminating the shot . How ironic. TAKEAWAY #1: WRITE THE SCRIPT. TWEAK IT. DISCUSS IT. EDIT IT. TWEAK SOME MORE. We knew the visuals had to be intense, and clear, and memorable, but nothing was more important to the spot’s success than the script. We needed the perfect choice of words & terms, and each and every one was discussed and refined over and over again. Many, many terms were thrown out that didn’t make the final edit and shot list, including: office supplies, consumers, glass ceiling, research, commute, downsizing, receptionist, and many more. Some felt too office-related, some too big-business (“Market Crash” for example, would’ve used a shot of a crashing meth-user) and didn’t have enough of a correlation to the drug trade. Some were terms that weren’t short and succinct enough (‘Balance the Budget’) and some were terms but not cliche and corporate enough. “Company Perks” for example, was replaced with “Benefits Package.” Each and every term had to really work quickly and cleverly, and be colloquial and corporate. We nit-picked every single term to make sure each one was viable and lived up to the promise. There had to be a balance of terms, too because we wanted to cover all of the stages of the drug trade, including selling, buying, using, making and busting. That back and forth between me and my team felt at times like we (well, maybe me) were overthinking it, (playing the classic role of “The Client”, perhaps?!) but in the end we knew that the spot would live and die by the words, so we had to get them right. We had a final list of about 15-20 terms that we sent to Evolve to start brainstorming shot possibilities and lock down locations. We also asked them to shoot for other terms that weren’t on the ‘official’ list to have as potential backup options. Same 5D gun-mount – different badass Facebook profile pic being taken. PRODUCTION AND A FAMILIAR TAKEAWAY #2: SHOOT, SHOOT SHOOT. As I mentioned at the beginning of this post, unfortunately I was not able to attend this shoot. 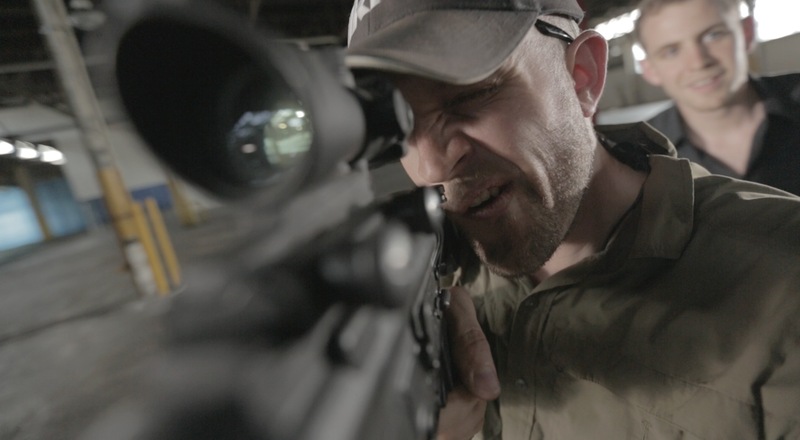 I really wish I had been able to because it was my favorite kind of shoot – multiple units, multiple cameras (Red Epic, Phantom Flex, 5D gun-mounts) ripping tons and tons of footage. If you’ve read The Client Blog before, you know that’s a pretty consistent theme – constant shooting, quick setups as well as longer, more elaborate setups – the goal being to get footage to cover multiple promos to launch the season, and episodic promos for each week of the campaign. We went into the production knowing that we wanted to cover the 15 or so terms, but not knowing which would be the final 8 or 9 in the :30 spot. Even though from the outset we knew that simple was the way to go – and by simple, I mean that we didn’t want this to be a cut-heavy spot. It needed to have a term and a shot to correlate it. We didn’t envision a huge edit-storm of footage in the final spot. But to ensure that we were covered both ways, Evolve went in with the goal of shooting a lot, and seeing what played best on-screen. James was able to attend the shoot, and spent the next two days in sketchy hallways, factories, hotels, streets, and alleys – shooting, tweaking, and collaborating with Evolve to find the right mix of style and substance for each scenario. Mike Bove, Evolve DP Joel Edwards and NGC Producer James Introcaso check out the monitor. Not at shoot: Andy, weeping silently at home. TAKEAWAY #3: WHEN THE CONCEPT IS STRONG, ALL ELSE SHOULD BE SECONDARY. We loved this concept. It fit the show, and everyone loved it internally when we pitched it up the food chain. We just needed to pick the best terms, and make sure that the concept came through clearly. The ‘problem’ was that we shot for two days and pretty much every single scene looked awesome. We had guys getting thrown out of vans, bottles being broken over heads at 2500fps, sketchy bugged-out drug users, dealers throwing wads of cash on dancing groupies, car chases, meth labs, flames, bats, cash, guns, drugs, and thugs. This was the time when we had to make tough decisions and focus-focus-focus on the concept. It took a lot of restraint and editing to get the sequence right. Evolve gave us lots of options – and the footage was all incredible. Early on, the edit felt like we were trying to force tons of insane footage into the cut – but at the expense of the concept. We kept reminding ourselves: be slaves to our concept – NOT to our shots. Yes, a guy getting thrown out of a van was cool. Especially shot on a FLEX. And damn if I don’t love a slow-mo shot. But does “Downsizing” really feel right when talking about the drug trade? It felt more like a Mafia term. So we started cutting out terms that, despite being strong visuals, just didn’t fit into the build and spirit of the spot. And for the first three terms, we used one single shot – “briefcase” “direct deposit” and “cubicle” had to be simple edits to establish the ‘gag’ early. There was no need for cutting away, or different angles, or edits. Show a bag with cash in it closing, and add the title. Less is more. It’s said all the time, but not often used. Less is more. As the spot ramps up in intensity, we started introducing a few more edits, but still – we stayed true to the concept. The takeaway here is simple – you can’t fall in love with what you shot if it doesn’t lead back to the concept. 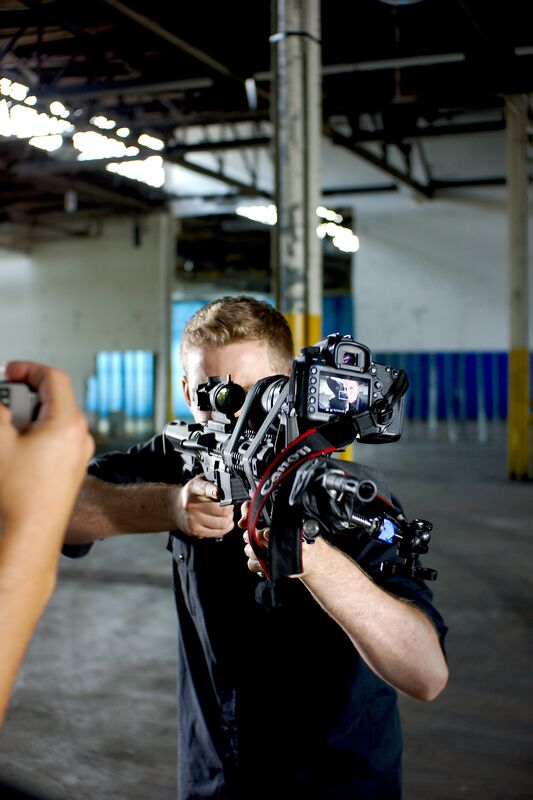 Shooting with the Phantom FLEX. I simply love this spot, it’s one of my favorite that the team has worked on in recent memory. It was featured on Promax/BDA’s “Spot of the Day”, our Execs loved it, and we got a lot of great feedback about the message and visual aesthetic. It was such a perfect blend of a simple idea, matched with a great script and visual style, and it comes together so nicely at the end with the line “Go inside the billion dollar industry” that sums up the show, AND the promo conceit. James and Tyler and Art Director Jeremy Tate on my team worked hard able to pull it off, and Evolve stepped up once again and delivered an insanely tight and restrained edit with top-level visuals. The sound and mix done by Radium was incredible and brought it all together – another reminder of how critical sound is to nail the concept. The ratings were very strong on premiere night, despite going against ‘Breaking Bad.’ And we are still cutting episodic promos now using all of the footage that didn’t make its way into the launch spot. Many of the other terms and visuals were used in cut-down promos as well, again reinforcing my takeaway of shooting more than you need to cover all of the versions you could ever need. Lastly, this project was a great reminder to me about the power of the concept – creating it, refining it, letting the words and pictures serve it, and staying true to it from start to finish. It’s not easy to come up with a simple, clear and effective concept spot – so when you do, stick to it. Don’t fall too in love with the executional elements you shoot – focus on staying true to The Concept. Thank you to everyone who was involved! Here is the final :30 promo, with the :20 promo below it, using some additional terms. Thank you for making a blog! I really love your work. Inspirational. Thanks so much! Glad you like it, I really appreciate you checking it out. Love this blog! Thanks so much! Awesome, thanks Kevin! Appreciate the feedback, thank you for checking it out. Hey Andy – I saw this spot on air and loved it. Fascinating behind the scenes info! Thanks! Thanks for checking it out Chris!